We eat a lot of Tilapia at our house. I like the fact that this fish is quite inexpensive in the grocery store. It is great for a quick meal after a long day at work. We have eaten it many different ways and I am always looking for new ways to prepare it. My mom had received a “sample magazine” or as stated in the magazine a “sneak peak” of the new allrecipes magazine. I guess they are going to print a magazine now. She asked me if I would like to have it since she knows that I am always looking for something new when it comes to magazines. I found a recipe that was different from anything I had tried with Tilapia so I decided to try it out. It is easy to make the topping in the recipe and it gives the fish a great flavor. Plus it doesn’t take too much time to make, which is another plus. 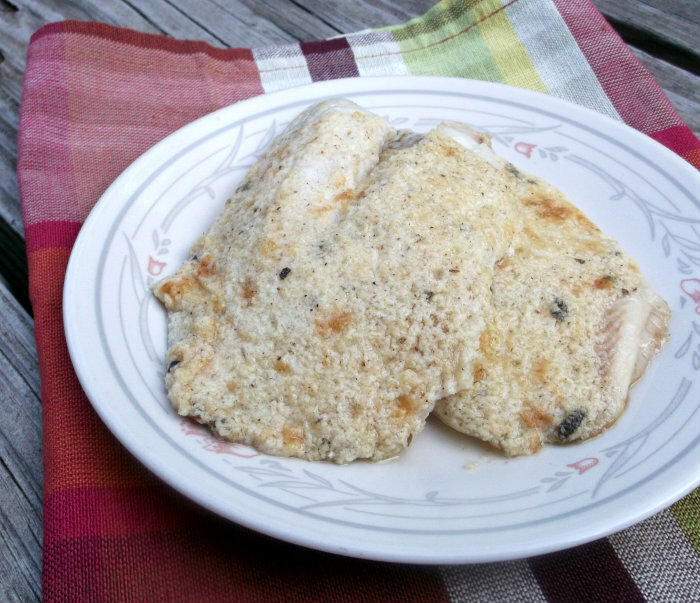 So if you are looking for something new for that Tilapia that is sitting in your freezer I hope you will try this out. 1.Preheat the broiler. Grease a broiling pan or line pan with aluminum foil. 2. In a small bowl, mix together the Parmesan cheese, butter, mayonnaise, and lemon juice. Season with dried basil, pepper, onion powder, and celery salt. Mix well and set aside. 3. Arrange fillets in a single layer on the prepared pan. Broil a few inches from the heat for about 2 to 3 minutes. Flip the fillets over and broil for a couple more minutes. 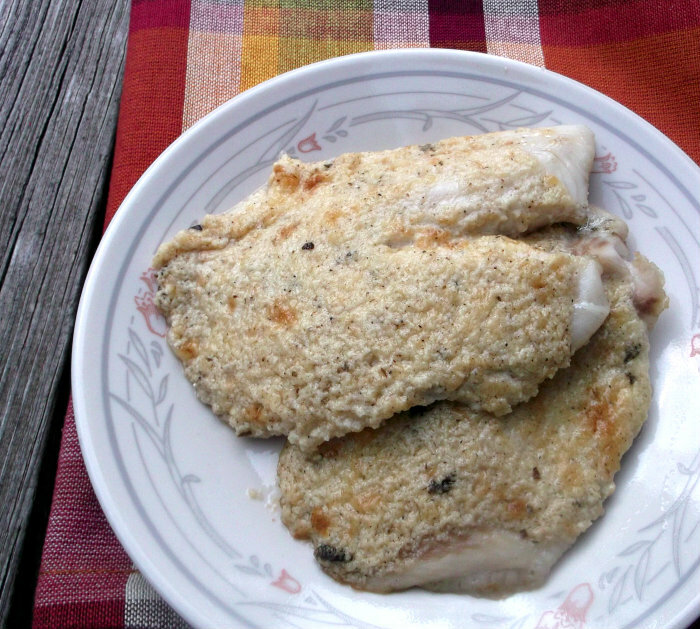 Remove the fillets from the oven and cover them with the Parmesan cheese mixture on the top side. Broil for 2 more minutes, or until the topping is browned and fish flakes easily with a fork. Be careful not overcook the fish. The coating sounds really delicious. Great looking recipe! 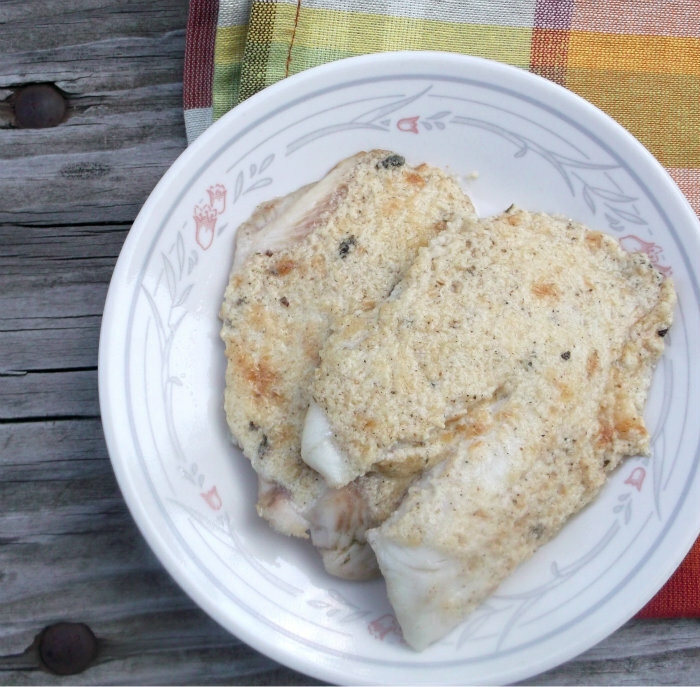 tilapia is such a versatile fish, and quite inexpensive, as you say. Really good flavor in this – thanks.